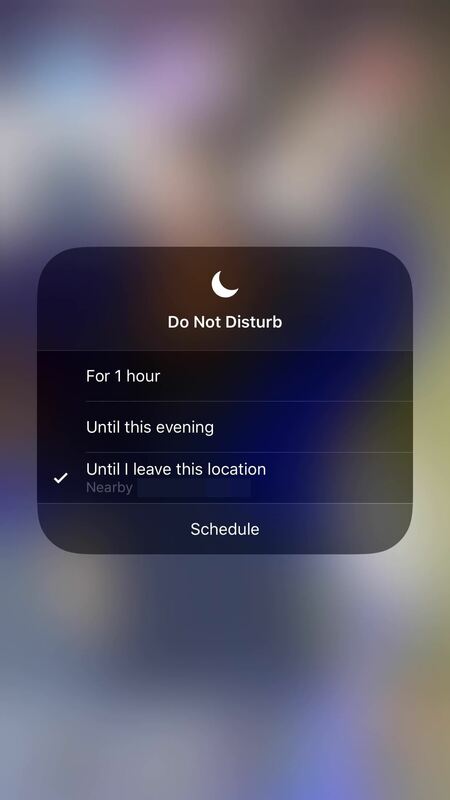 One of the new features of iOS 12 shown at WWDC 2018 was an enhanced version of Do Not Disturb mode. Instead of focusing on time, Apple has added new ways to manage the feature, including activation based on location. And for those on the move, this can be done pretty quickly. First, make sure Location Services are turned on by opening your Settings app, and then selecting Privacy. Select "Location Services" and activate the Shift key. Second, if you have not already added the Do Not Disturb check-point to your Control Center, read this guide to set it up. Next, open the Control Center by swiping from bottom to top or by swiping from the top right corner to iPhone X or later. 3D Touch the moon shaped Do Not Disturb button (or long press if using an iPhone 6 or earlier). This will display some options, including "Until I leave this location." iOS displays the current location under this option. When this option is on, the icon turns purple, indicating that Do Not Disturb mode is on – your phone will be muted until you leave your current location. Depending on the Do Not Disturb settings, this means that calls and notifications will either be muted completely or muted only when the phone is locked. 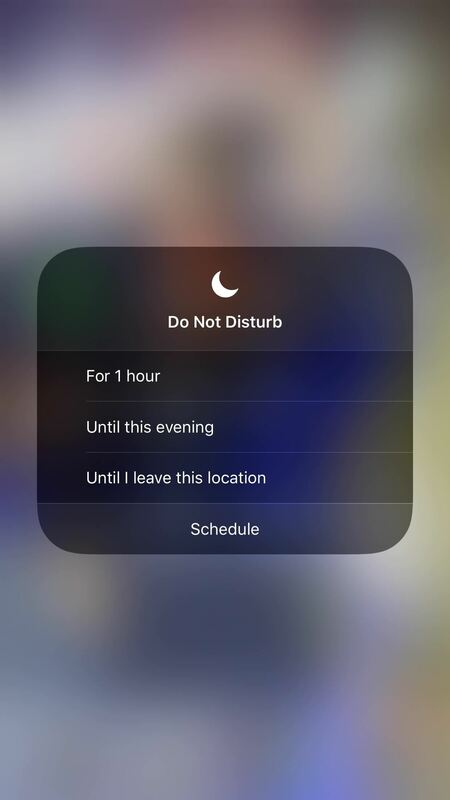 With these new "Do Not Disturb" features and a few others, Apple protects your digital well-being and makes it easier to enjoy moments without constant distractions from your phone. Another great example of this is the new "bedtime" function, which you can learn more about.